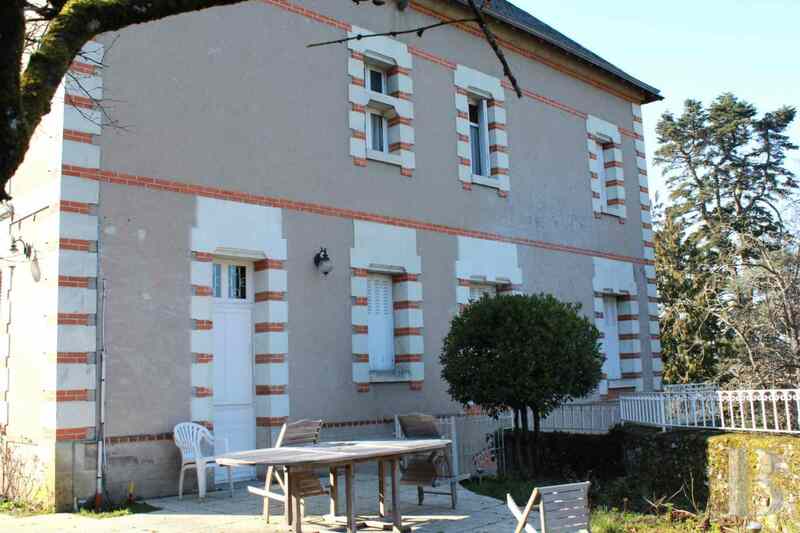 A large, luxurious home dominating the Loire Valley between Tours and Amboise - property for sale France - in Sologne, Touraine, Loire valley, Burgundy, Auvergne. 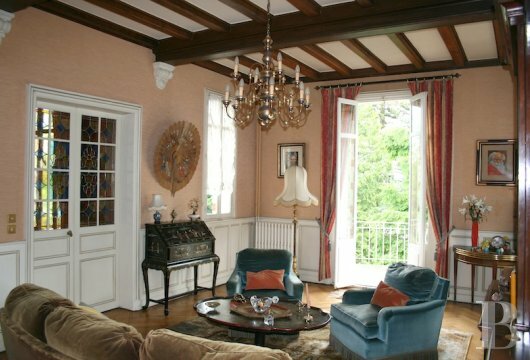 - Patrice Besse Castles and Mansions of France is a Paris based real-estate agency specialised in the sale of Residences. 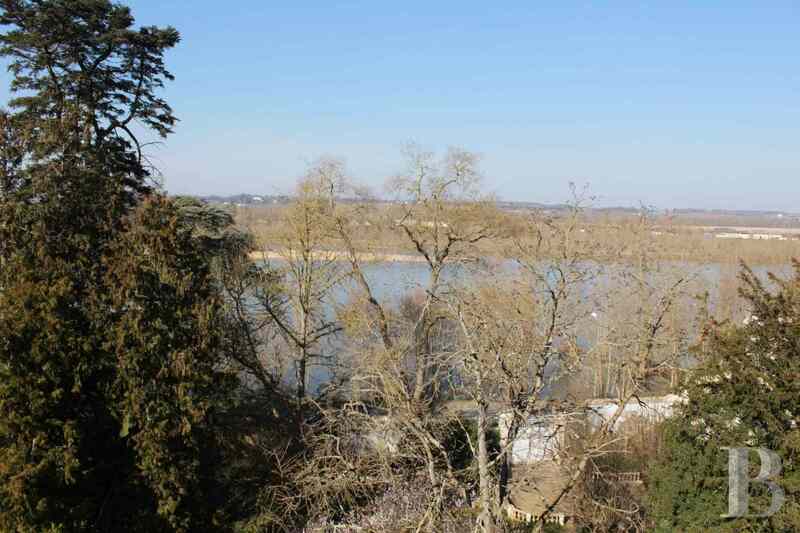 Less than three hours from Paris via the A10 motorway, 15 minutes from Tours (TGV train station with 55-minute links to Paris and an international airport with 90-minute flights to London), 15 minutes from the town of Tours dubbed “Little Paris” and 10 minutes from Amboise. 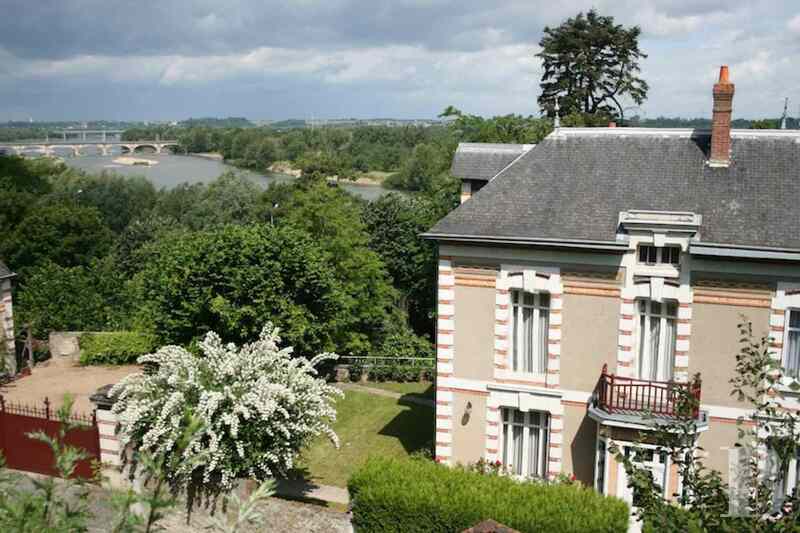 In the heart of the Loire Valley, renowned for its wealth of architectural, historic, cultural and gastronomical heritage. 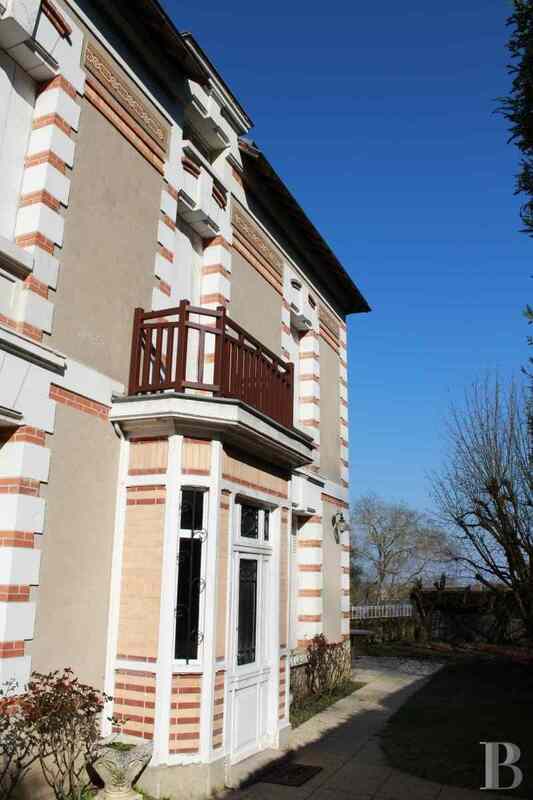 In a small town with all amenities (shops and services as well as a weekly market just two minutes away on foot). 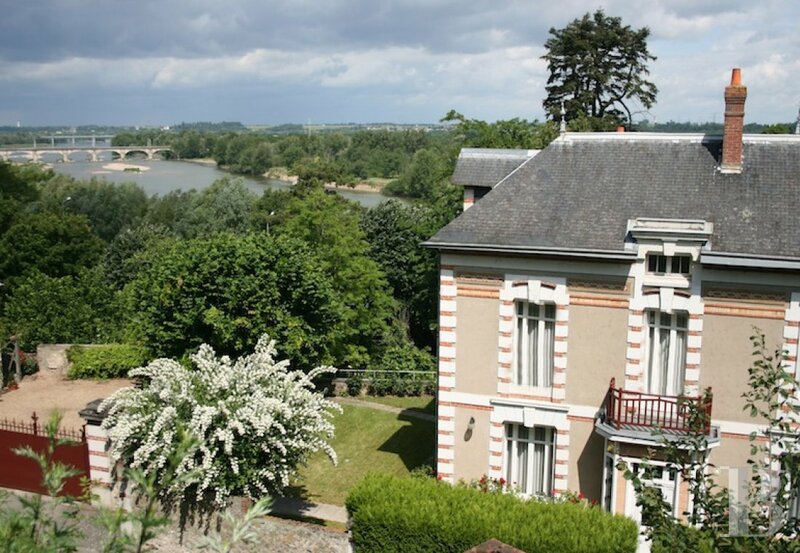 This residence looks down on the Loire Valley with its majestic river. This completely enclosed property, in the centre of town, comprises a large, luxurious, 2-storey home with a slate roof. 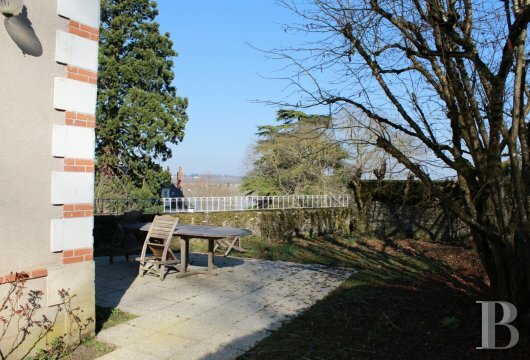 It also includes a wooded garden and an outbuilding that can take two cars. Its architecture, typical of local middle-class houses at the beginning of the 20th century, is adorned with small bricks, and freestone. It is set in residential, protected surroundings. This large, luxurious home can be accessed either via a central gateway in the perimeter wall or via wide gates that open into a gravel courtyard. The basement is reached either via an internal stairway or via an independent, outside stairway. 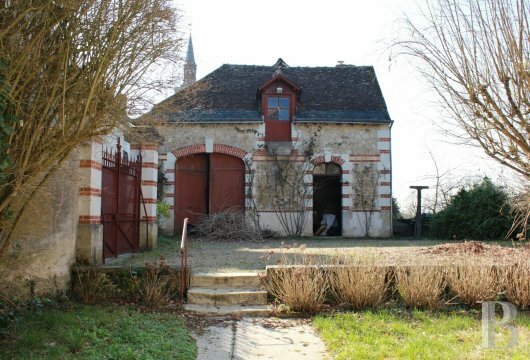 This level comprises a boiler room and a room awaiting conversion, extended by a loggia terrace overlooking the river Loire. 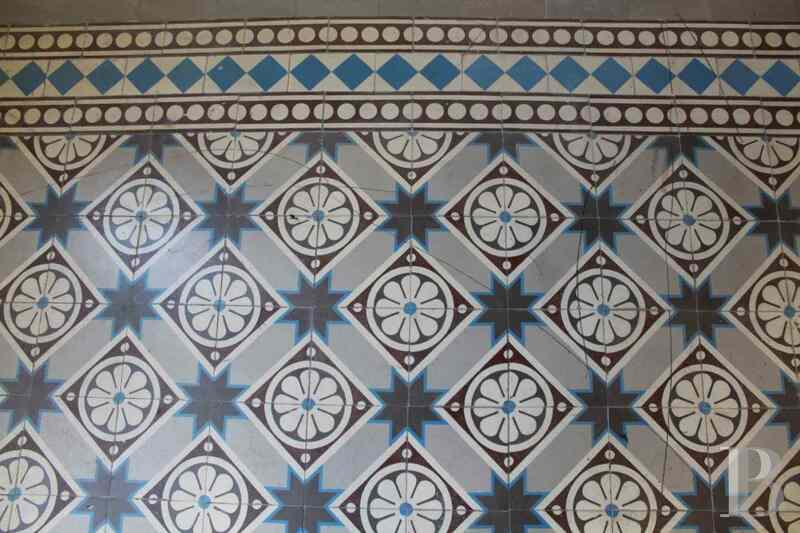 The independent, elegant entrance hall has panelling and painted cement floor tiles. It provides access to a back kitchen and a kitchen, awaiting conversion, with a door leading out on to an east-facing terrace. The reception rooms include a lounge and a dining room, both with panelling, exposed beams, parquet flooring and a fireplace. They are extended by a terrace looking down on to the river Loire. 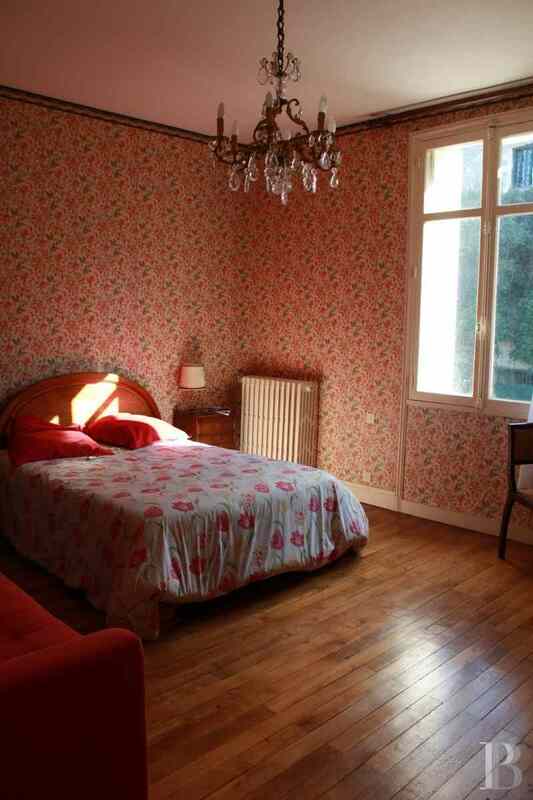 The ground floor also has a small bedroom, a vestibule and a toilet. 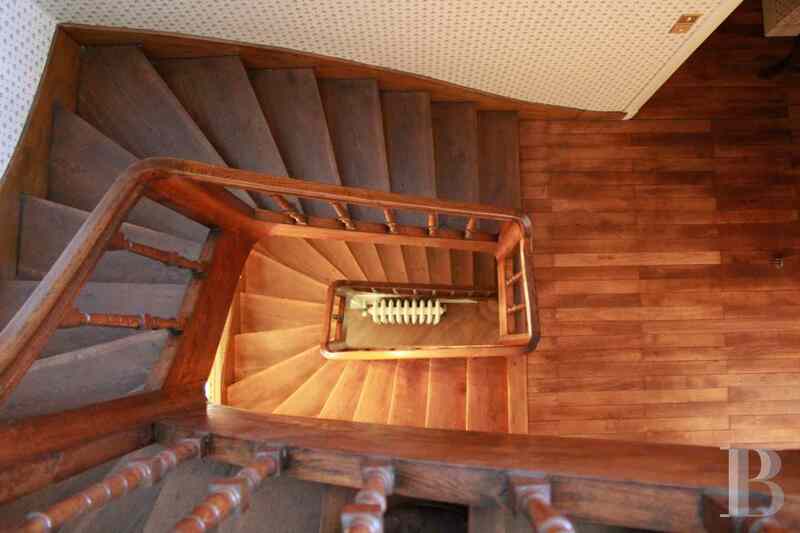 A central, oak wood stairway goes up to the first floor. With parquet flooring throughout, it comprises a bedroom with a bathroom (slipper bath) and a small cloakroom, a second bedroom with a cupboard, a toilet, a bathroom, a third bedroom and a fourth bedroom with a cloakroom and a small cupboard. The second floor comprises a large attic, which could be converted into living space, and a room (electric wiring and insulation done) awaiting completion of its renovation works. The landing provides access to a large terrace with a wide panoramic view over the river Loire featuring the village bell-tower in the background. 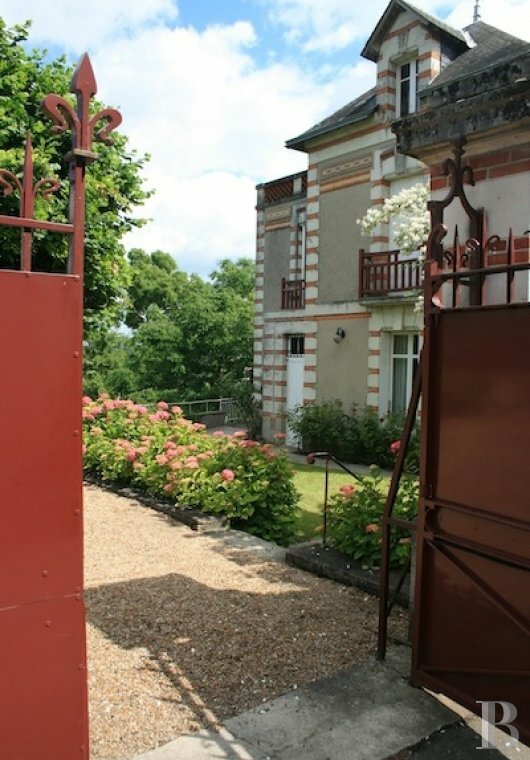 The gates on the left-hand side provide access to an outbuilding, spanning approx. 40 m². This construction could be converted or used as a garage, a storage area or a workshop. 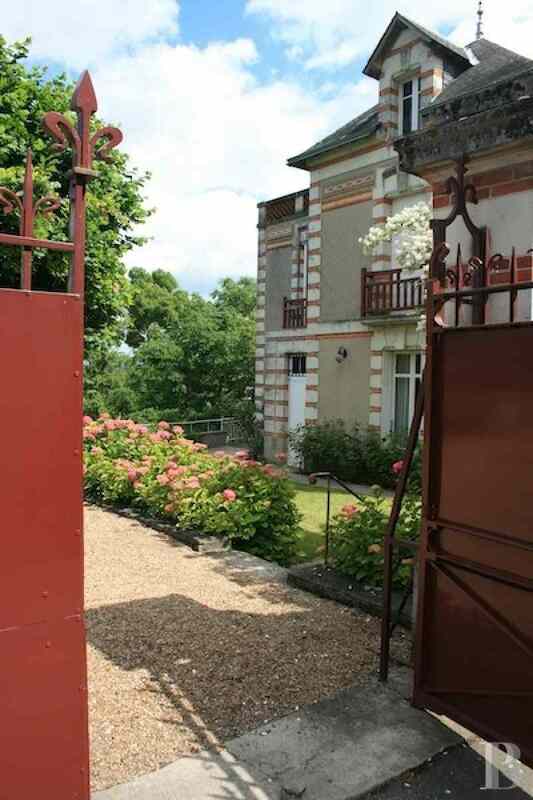 This 720 m² garden, with its integrated watering system, features lawned and wooded areas. It is notably enhanced by its rose and hydrangea bushes which flower during the summer months. The first positive feature of this property is its location, just 15 minutes from Tours and ten minutes from Saint-Pierre-des-Corps TGV train station. It could, therefore, appeal to would-be buyers working in Paris. 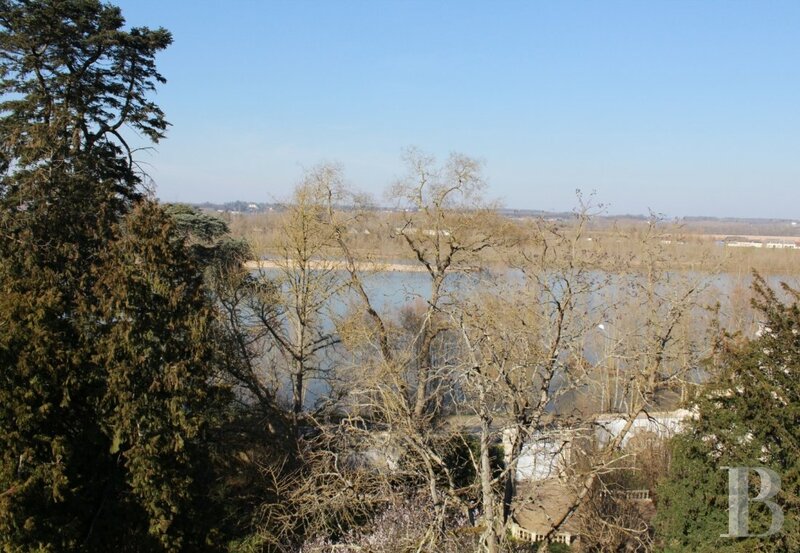 Its second positive feature is its quite exceptional, panoramic view over the Loire Valley. 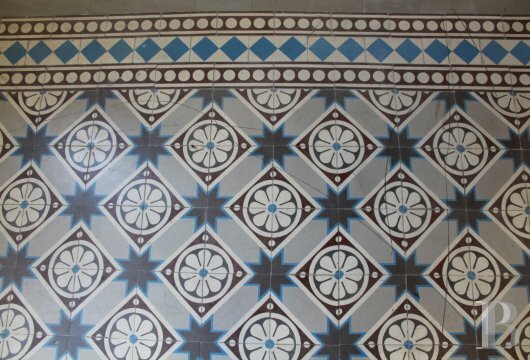 The residence is, however, in need of internal works: installation of a fitted kitchen, wall coverings, creation of shower rooms in the bedrooms and insulation of the woodwork. 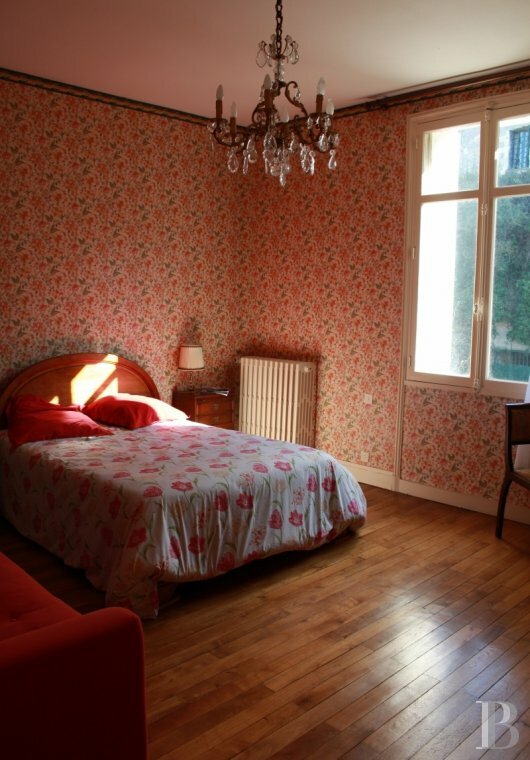 It would be possible to keep the interior moulding, panelling, parquet flooring and floor tiles which are all in a good state of repair and contribute to the charm of the house. This reasonably-sized, family home is ideal for entertaining. The outside does not require a great deal of upkeep as the garden has an integrated watering system.